A great leader is visionary, conceptual and strategic in the actions that are necessary to achieve goals. A great manager excels at people management. They inspire and reward employees to give their best efforts. They earn the respect and cooperation of their staff. The best managers adjust their communication and management style to that which works best for individual employees based on personality type and level of competency. They are quick to ‘praise in public and give constructive criticism in private.’ Timely feedback should be given to encourage and reinforce good work and – on the flip side – to correct deficiencies and undesired work or behavior. There are several good reasons to appraise performance. 1) Performance appraisals provide information with which to base promotions and salary decisions. 2) A formal program provides structure in reviewing and assessing employees’ work and behavior – to identify what’s working and what requires improvement. If the manager is doing their job of managing staff well throughout the year, there should be no surprises at the annual performance review meeting. 3) This process can identify strengths and weaknesses that are useful in light of human resources planning to ensure the organization has the right number of employees with the required skills to meet its goals. 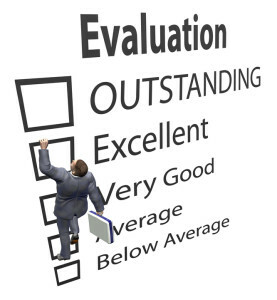 4) The annual performance appraisal provides an opportunity to discuss job goals that are aligned to support department and corporate strategic plans, as well as the employee’s career goals. It is a manager’s role and responsibility to deal with unacceptable employee performance and misconduct promptly, privately and respectfully. Every effort should be made to identify the problems and gaps, and work with the employee to improve performance to an acceptable level. Progressive discipline policies should be established and practiced. Depending on the severity of the offence, progressive discipline typically starts with a verbal warning for a first offence up to and including dismissal (refer to Termination). The courts have repeatedly articulated the right of employees to fair treatment during the employment term as well as throughout the disciplinary and termination process.